- Prim + Preux Adult Energy Polo. 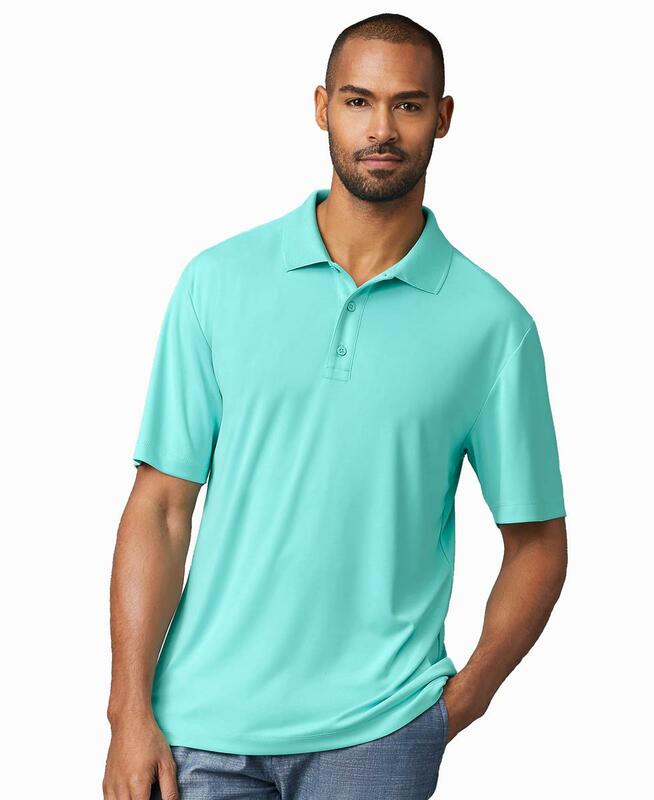 - 4.4 ounce polyester interlock fabric. - Wicking properties, UPF 30+, anti-microbial. - Style Ships from Eden, NC. - Goods shipping from Eden must be ordered in case lots. Prim + Preux Adult Energy Polo. 4.4 ounce polyester interlock fabric. Wicking properties, UPF 30+, anti-microbial. Snag resistant. Contoured welt collar. Woven label. Three color-matched buttons. Sizes: XS-4XL. Colors: White, Black, Blue Turq, Gold, Navy, Orange, Pine, Purple, Red, Royal, Skyline.Style Ships from Eden, NC. Goods shipping from Eden must be ordered in case lots.